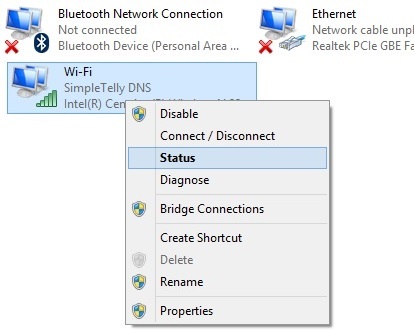 In order to login to your router to set up our DNS, you will first need to know the Router IP address (default gateway of your network) in order to access the router's settings page. Usually, this will be 192.168.1.1 but this can vary based on the make of the router and how the network is configured in the first place. 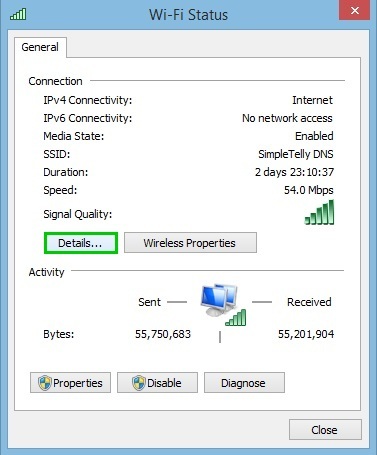 The guide below will show you on how to find the Router IP from a Windows 7 computer. 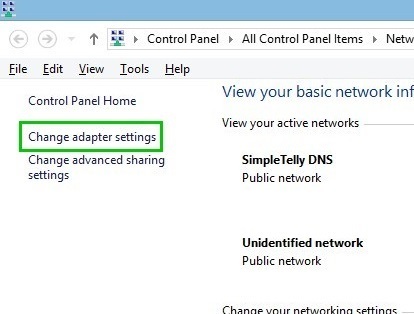 Once you've opened Change adapter settings, please right-click on your current connection and click on Status. In this example, we're connected via Wi-Fi. In the following menu, click on Details. 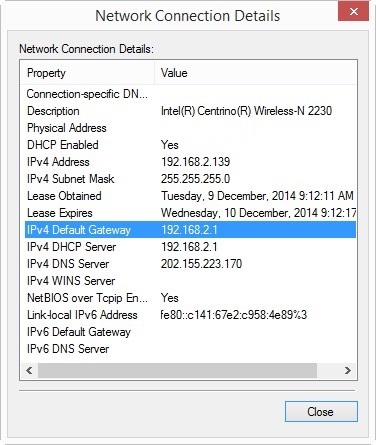 Once you've retrieved your router IP address, enter it into your browser to access your router settings.